Today's Giveaway is a Vivitar Vivicam 8025 digital camera, value $99 - sponsored by Vivitar.com - "We make it easy!" - with digital cameras, DVR's and accessories. We were excited to receive this camera to test, as we really needed a new updated one. 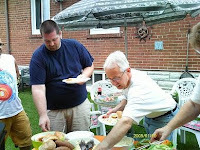 I was just saying to Rob, if I am going to be taking all these pictures for the blog, I am going to need a new camera. And thanks to Vivitar, my wish was granted! The best thing about this camera is just how simple it is to use. With all the controls on the touch screen, you can zoom in and out (8x digital) with ease, the face and smile detection helps to set up your shot and I love that to charge the lithium battery, all you have to do is plug the camera into the wall. Simple is good! The rechargeable battery life seemed good, unlike my previous camera that was dying after 3-5 pictures! You do need to add your own memory card, up to 8GB. Fortunately we had some laying around, so we popped one in and were snapping pictures all over the place. The last few pictures I've taken for recent reviews and giveaways were taken with the Vivitar Vivicam 8025 digital camera. Uploading the pictures and videos we took was a breeze, though the short USB cord, means you can't lay the camera down any further than the top of your hard drive while uploading. The new Vivitar Vivicam 8025 is an 8.1 megapixel HD camera that retails for $99. It has a 2.4” preview screen, 8X digital zoom, resolution of 3264 x 2448 and a touch screen, making it easy to use and affordable to buy. Plus, it comes in a variety of vibrant colors to match any personality: Pink, red, teal, navy, yellow, gray and black. To enter to win this Vivitar digital camera, please leave a comment about where you found out about this giveaway, include the name of the site if possible. "Frugal-Freebies.com is having a great Vivitar Vivicam 8025 digital camera giveaway sponsored by Vivitar.com - "We make it easy!" - with digital cameras, DVR's and accessories. Stop by before midnight Aug 28th EST to enter to win! " 8. Visit Vivitar.com and leave a comment about a camera feature from the site that would make picture taking easier and/or more fun for you. Two weeks from posting. This giveaway ends on August 28/09. I will e-mail the winner, and results are always posted here as well. If the winner doesn't respond within four business days, with contact details, a new winner will be drawn. I found it at Frugal Freebies. I saw your camera giveaway on the Frugal Freebies website. I visited the Vivitar website and I think the antishake feature would make picture taking so much easier for me at least. I saw it in Frugal Freebies. From Vivitar website, Compact digital camera , high resolution with large touch screen. I am a fan of frugal freebies on Facebook. I visited the Vivitar website. I really like the large touch screen. Found out about the camera giveaway on Frugal Freebies website. I saw this giveway on facebook. I am a fan of frugal freebies on facebook. I saw your giveaway listed at http://www.online-sweepstakes.com . i follow Frugal Freebies on twitter - js22222222 . I follow your blog on google friend connect . I saw it at frugal freebies and it has a lot of wonderful features. I found you from Facebook. 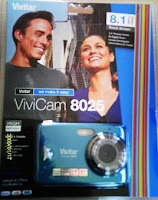 I found the Vivitar Vivicam giveaway on Frugal Freebies. Found camera giveaway on frugal freebies. I found out about this giveaway from my Facebook notifications from Frugal Freebies updates. Vivitar's cameras are rechargeable just by simply plugging them into an outlet, so that makes my life easier! I found it at Frugal Freebies on fb. I saw a tweet on twitter and it brought me here. need a new camera! hope i win!! 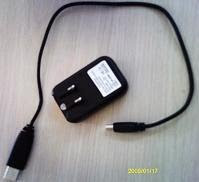 I heard about this on Frugal Freebies site. I heard about the camera giveaway on the Frugal Freebies website. I heard about your giveaway because I have a giveaway blog and I also offer a space where people can submit their giveaways and I link them for them. I follow your blog and found out about it this way. Thanks so much. Heard about this great giveaway from your email! I visited vivitar.com and I think the antishake feature their cameras have would be really helpful in taking good pictures. I found this from entering one of your other giveaways, BUT got to your blog via an email from the Kadydid & Kid blog. I found the contest at frugal freebies on facebook. I could use a new digital camera. Frugal-Freebies.com is having a great Vivitar Vivicam 8025 digital camera giveaway sponsored by Vivitar.com - "We make it easy!" - with digital cameras, DVR's and accessories. Stop by before midnight Aug 28th EST to enter to win! I am following you, where are we going, the beach is nice!! I found this giveaway through frugal freebies! The large touch screen would help me a lot! I take really bad pictures. I found out about this giveaway on online-sweepstakes.com. I found it at online-sweepstakes.com, thanks. I found about this site through google.com! I found out about this giveaway from the frugal freebies website! this is awesome we could really use a new camera! I saw your giveaway listed at online-sweepstakes.com . A friend told me about this great giveaway. Online-sweepstakes is where I heard of this. I saw it on my friends facebook page. I found out about this giveaway from sweepsadvantage.com. Thanks for the chance. I found the add at frugal freebies, really could use a new camera, my old one still uses film!!!!!!!! Linked in through gather. I hope I win this. would give it to my son, he is leaving for college in canada. I found this on OLS-on-line sweepstakes site. Thank you for offering this. I found this through either Canadian giveaways (blogspot) or Frugal freebies. I found the giveaway on online sweepstakes. I like the touch screen feature! I'm a fan of Frugal freebies on Facebook. I found out about this giveaway from coolcanucks.ca Thanks for this giveaway and please count me in. I like the Large Touch Screen feature. Found this on cashnet sweepstakes. Luv your site and prize. I found this giveaway on Delaney's Top Pick Giveaways blog. I found out about it on frugal freebies. My sister told me about this giveaway. I would guess that she found about it at Online-Sweepstakes, but I can't be positive. I found this giveaway listed at Online-Sweepstakes. I think this is such a great giveaway, I really need a camera so I can take some pictures at the beach. I found this giveaway through google. Found it on Frugal Freebies. Thanks!